By contrast, fewer than one-quarter of citizens in predominantly Sunni Egypt, Libya or Jordan say the same. Again, citizens in predominantly Sunni countries, especially those in North African countries that are geographically remote from Iran such as Egypt and Algeria, are far less likely to want stronger security ties. 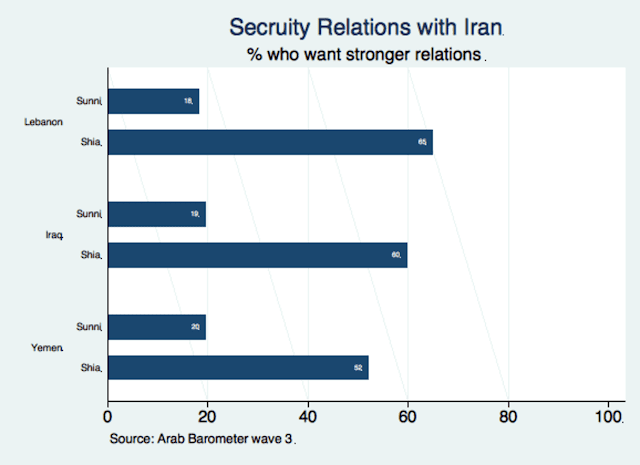 And although Shias tend to be more supportive of improved relations with Iran than Sunnis, views of Sunnis vary widely across the region. 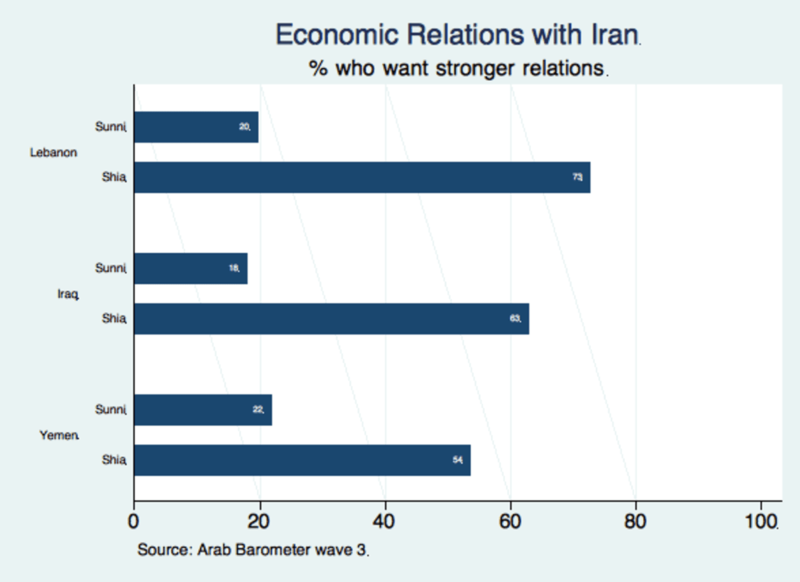 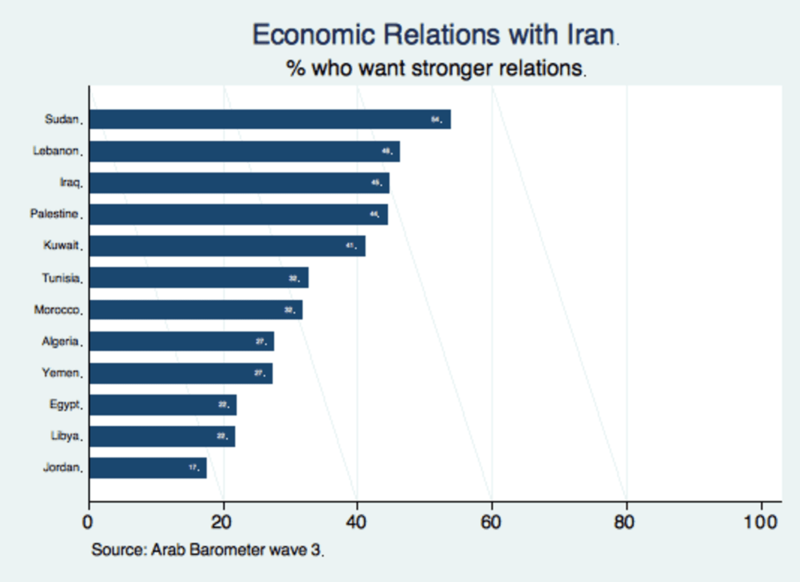 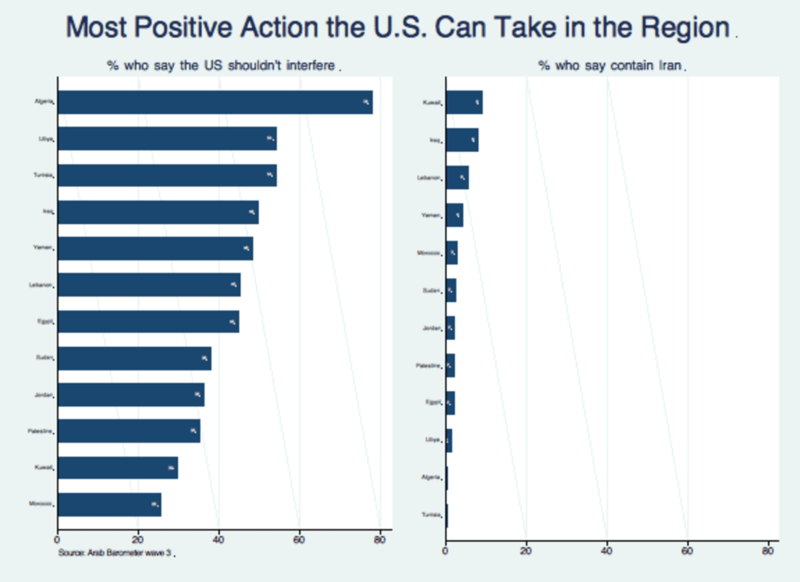 In fact, citizens in Sudan, a predominantly Sunni country, are more supportive of stronger ties with Iran than those in any other country surveyed. 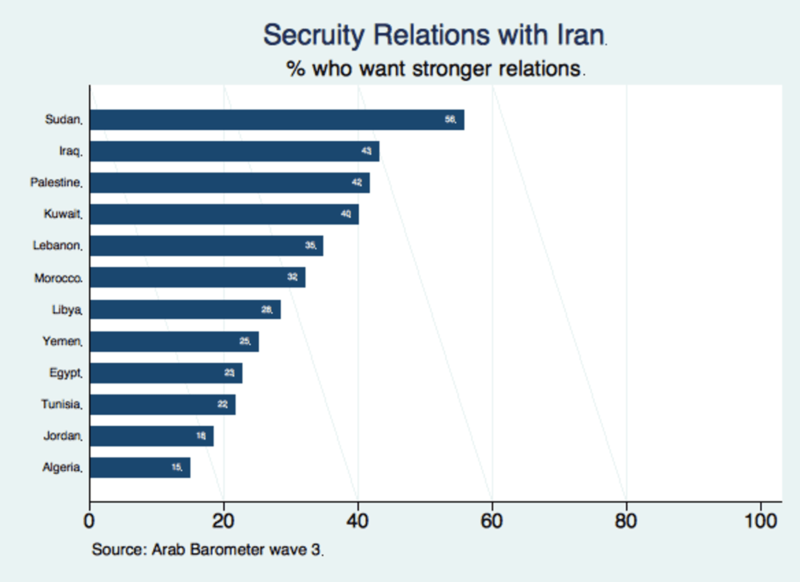 Most likely, the higher levels of support in Sudan for strengthening relations with Iran are the product of similarities that transcend the sectarian divide; both counties are self-styled Islamic states and each has long been subjected to US sanctions. 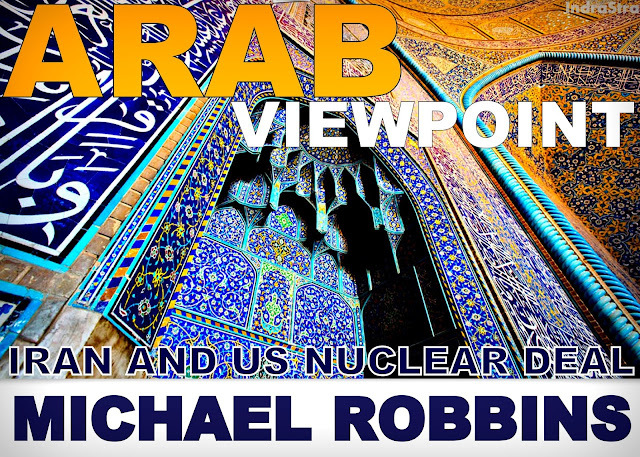 Michael Robbins is the director of the Arab Barometer, a project measuring public attitudes toward politics, economics religion and social issues across the Middle East and North Africa. He is also a senior research fellow in Princeton's Department of Politics and a research fellow in the University of Michigan's Department of Political Science.